Campari Oransoda was first created in 1932 and is considered the first pre-mixed drink in the world. This Extra Virgin Olive oil comes careful selection and pressing of olives the best production zones. Use it raw to enhance food flavours. Pinot Noir Riserva Magnum - 2011 - Winery Waldthaler Clemens 42,45 EUR / 28,30 €/lt. Pinot Noir Riserva - 2014 - Winery Waldthaler Clemens 20,50 EUR / 27,33 €/lt. Lemonsoda 24 can x 330 ml. - Campari Group Aperitivo Lemon Soda 20,45 EUR / 2,58 €/lt. Arancia & Fico d'India can 24 x 330 ml. - San Pellegrino Lemonade 23,50 EUR / 2,97 €/lt. 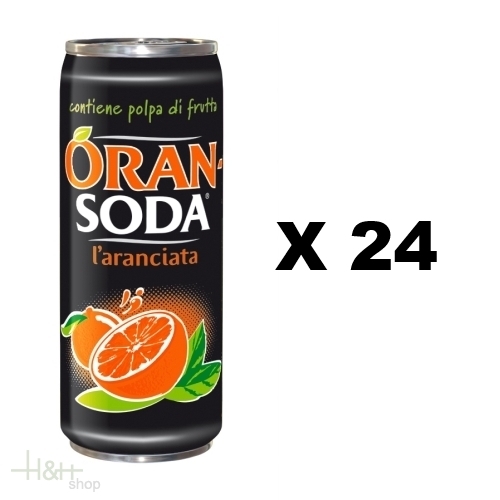 Chinotto Chinò 24 can x 330 ml. - Sanpellegrino 21,05 EUR / 2,66 €/lt. Lemonsoda P.E.T. 6 x 1,5 lt. - Campari Group Aperitivo Lemon Soda 16,45 EUR / 1,83 €/lt. Pelmosoda 24 can x 330 ml. - Campari Group Aperitivo Orange Soda 26,90 EUR / 3,40 €/lt.